Advocacy is defined by Merriam-Webster as the act or process of supporting a cause or proposal. Dictionary.com defines it as the act of pleading for, supporting or recommending, but my favorite definition is by Wiktionary which says that advocacy is the practice of supporting someone to make their voice heard. What is more important than having one’s voice heard? Advocacy raises awareness, it breaks down barriers, crushes stigma and helps further the cause, any cause. And it works. That’s why I will Walk4Hearing again this year. The theme is Communication Access — one of my favorite advocacy initiatives. 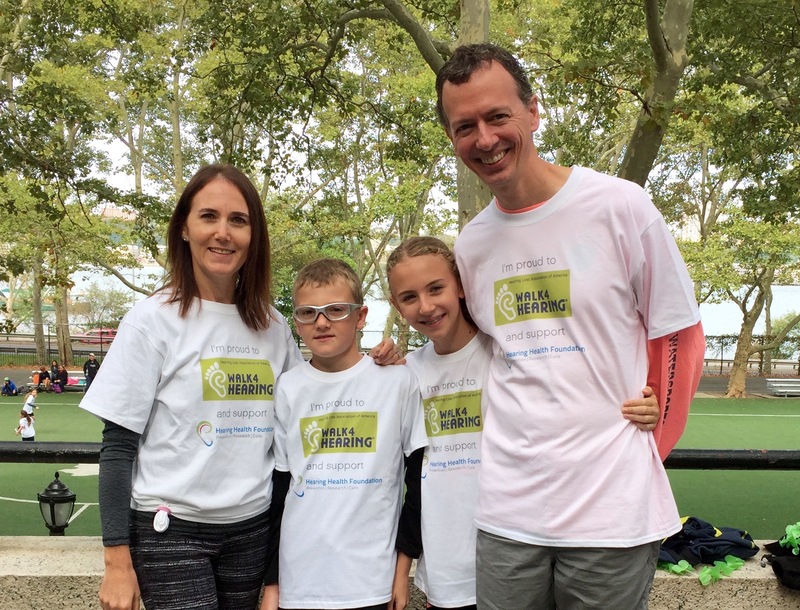 This year’s Walk4Hearing theme of Communication Access is a true call to action, encouraging people with hearing loss to ask for the accommodations they need to communicate — at work, at school, at the doctor and socially. This can range from asking people to face you when they speak to you all the way to requesting CART (Communication Access Real Time Translation) for important meetings. Here is HLAA’s suggested list of things you can request. We all know we should do it, but sometimes it is difficult to ask for the help that we need. We worry that others will look down on us, or think we are not capable of doing our jobs effectively. Or that we will appear old or stupid or weak. It is easy to get hindered by stigma and fear, but we cannot let it prevent us from communicating. If you have trouble advocating for yourself, try starting with a stranger. Mention your hearing loss to your seat mate on the airplane, to the salesperson at a store or to your hairdresser. Try out different words until you find the ones that make it easiest for you to explain that you have a hearing loss and what help you need. Then tell a friend or family member, or somebody at work. They probably already know, and will be thrilled that you have chosen to acknowledge your hearing loss and take action to improve communication. Self-advocacy gets easier every time you do it. Whether it is announcing your hearing loss at a meeting, or mentioning it to your yoga teacher at the start of class, or asking your friends to rearrange the seating so you can hear better — each step is an important one. Laced together, one after the other, these small requests can have a big impact on your life. Your friends and family will learn to communicate with you more effectively (it still won’t be perfect! ), your productivity will improve and you will feel empowered to attend the theater or a lecture or a dinner with friends. It has worked for me. Readers, will you Walk4Hearing and Communication Access this year? Find a local walk here. You can also find Living With Hearing Loss on Facebook and Twitter! Underscoring the importance of Shari’s message about speaking up for assistance with hearing accessibility is that “effective communication” access to government and in places of public and private accommodation is promised to us under various laws, most notably the Americans With Disabilities Act (ADA) and related federal regulations and state human rights laws. If you’ve done much advocacy you’ve probably heard lots of excuses as to why little or nothing more can be done. These responses usually come from well-intentioned people who don’t know much about hearing loss, nor what they are obligated by law to provide you. Part of advocacy involves educating and informing — and when your appeals fall on deaf ears (theirs, not yours!) consider filing a simple online ADA complaint (see ADA.gov or call the toll-free number for assistance (800-5140301/voice or 800-514-0383/TTY). This past year I’ve been involved with HLAA in forming a new chapter in our area. It’s slow going but so worth it. I began advocating for myself as well as my husband – for him because I discovered that hearing loss can contribute to forms of dementia and is paid little attention by the mainstream medical establishment. It’s time we all made noise (pardon the pun) to be heard that hearing loss is more than an inconvenience. Something can be done if we just begin advocating first for ourselves then for others. Great work! Thanks for all that you are doing!